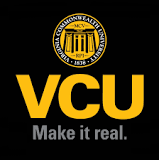 VCU's English Language Program offers full- and part-time intensive ESL instruction (22 hours/week) as well as exposure to the rich cultural diversity in Virginia. We serve students who want to learn English for a variety of academic, professional, and personal reasons. Our program prepares students in six primary ESL skill areas: reading, writing, listening, speaking, pronunciation and grammar.